After the industrial revolution, there have been many regions in the world vigorously developing the heavy industry, which caused the rapid decline of air quality and posed a serious threat to human health.In order to improve the air quality to a certain extent, the corresponding long-term air governance policies were issued. Some scientific research institutions were also vigorously studying the air purification technology, so as to bring people a healthy breathing experience as soon as possible. The application of the new technology was not applied in the automotive field at the beginning. After further development, people begin to realize there is pollution of air inside the car, so the air purifier applications have achieved in the field of automobile development.Guangzhou Olansi car air purifier manufacturer specializes in car air purification technology research and application, our many years of research on air purifier technology has promoted the further development of air purifier. There are many types of car air purifiers, among which are the filter type car air purifier, the electrostatic dust collector car air purifier, the net ion group car air purifier, the ozone car air purifier.The car air purifier developed by the Olansi is composed of a fan, a motor and an air filter, and an intelligent monitoring system. The main function of the car air purifier is purify every part of the car. To remove dust and smoke and odor, The car air purifier also has the function of dust reduction and detoxification, which can remove the odor and microorganisms in the car, which is more helpful in preventing influenza. The car air purifier is composed of electric negative ion generator, air filter, and a micro fan.In the specific working process, the fan in the machine can promote the circulating air in the car. 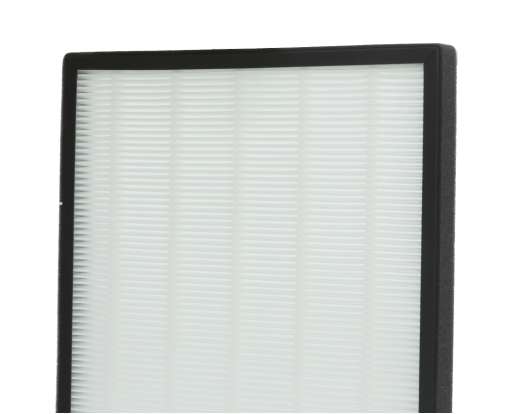 The polluted air passes through the pm2.5 filter and the activated carbon filter in the machine, and then adsorbs and filters various pollutants. 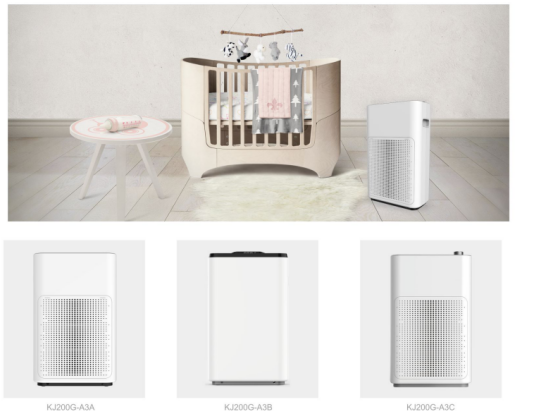 The negative ion generator installed in the air outlet continuously ionizes the air, generates a large amount of negative ions and is sent out by the micro fan, so that a negative ion airflow can be formed, thereby purifying the air. Among the system structures of the Olansi car air purifier, the core part is the air purifier filter, which has a great influence on the air purification effect in terms of quantity and material. 1）Olansi K05 Car Air Purifier silently removes dust particles such as pollen, dust, mold, pet dander and second-hand smoke from each car. It is can purifier the unpleasant and stimulating smell of the air inside the car. 2)Built-in HEPA filtration technology captures 0.3 micron particles of air pollutants, allowing you and your family to breathe naturally healthy air in the car. 3)Olansi Car air purifier has an electrostatic function of negative ions, which can generate load on the air and absorb and purify the dust with a positive load.With the help of HEPA technology and negative ion function, it can remove microbes, car odor and other pollutants better than the general car air purifier, keeping the air fresh. 4)Olansi K05 car Air Purifier is with high-purification and low-noise technology that gently releases fresh, clean air. With a DC power plug, you can use the USB output charging enabler. Hydrogen has an ideal selective anti-oxidation effect, which can selectively and effectively remove malignant free radicals, the source of all diseases and aging, achieve internal environmental balance from the most basic cell body fluid level of the human body, activate and stimulate the body’s self-repair mechanism, and comprehensively improve health. situation. Hydrogen ions are cationic and move to the cathode under the action of an electric field. They can pass through the membrane to the cathode and carry water molecules as cations. Hydrogen-rich water contains a lot of hydrogen and is very convenient for human body to absorb. Hydrogen-rich water has a strong antioxidant capacity, can regulate the body’s function and metabolism, and improve the body’s immunity. 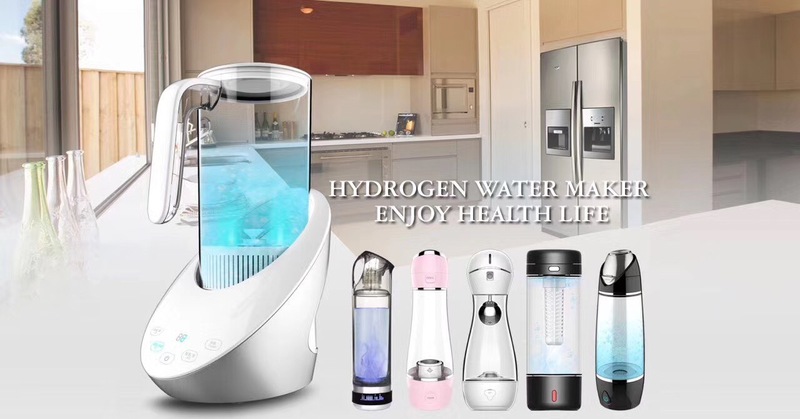 Moreover, hydrogen-rich water has a good effect on improving inflammation of the human body, which can help the body to repair itself and improve various allergic symptoms of the human body. Most people living in an area or city where air pollution is a problem, the outdoor air pollution would easily become indoor air pollution. This is because air conditioner filters are not able to stop the chemicals that are in the air, nor many of the more dangerous sub-micron size particles as the pore sizes are too large, and every time the HVAC system turns on, it’s bringing in that ‘fresh’ air. That means that whatever is outside, smog, pollution from factories, car exhaust, etc is all come inside. And many of these pollutants are known carcinogens or cancer-causing agents as well as contributors to many other types of disease. There is a word that if you can get the best air conditioner filter, it will stop all or most of the dust or chemical pollutants. Sadly, this isn’t true, only causes many people to waste their money. Even the best air conditioner filter’s pore size is too large to stop the tiniest of particles and virtually none have enough or any carbon to remove the chemicals being brought in or circulated within the home. And no, electrostatic or electronic filters don’t stop the majority of tiny particles, either, and they don’t help with chemical compounds or odors. For these reasons (and others), a indoor house air purifier to your home or office air conditioning output duct can be your best, most cost-effective defense against not only the air pollution being brought in from outside, but also against any pollutants in the home. 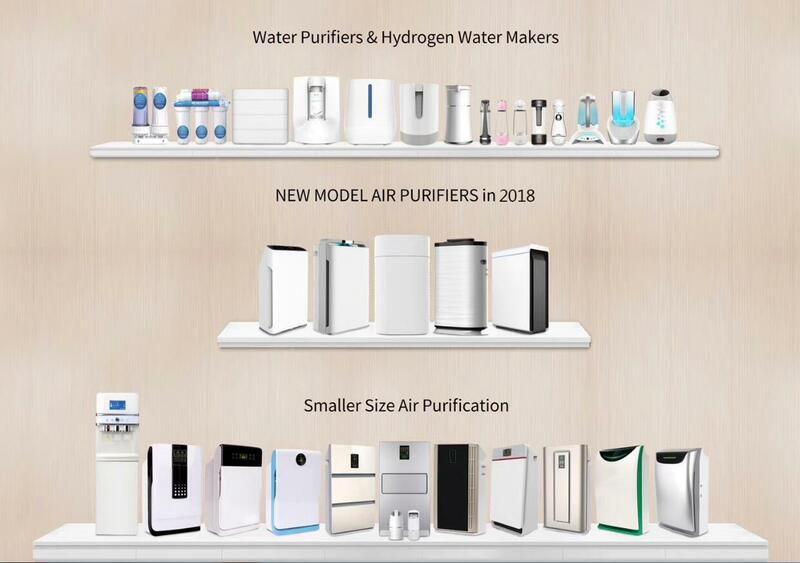 The home air purifiers made by Olansi healthcare, for example, not only have H13 grade HEPA filters, but also up to 28 pounds of super-activated carbon, which together can remove over 99.7% of all pollutants (dust, dust mites, mold, pollen, bacteria and chemicals) that are already in or coming into your home from outside. Another great thing about indoor house air filtration system is that it filters all of the air in your home with one unit and has up to 7 filters to purify the air. That alone would bring you healthy fresh air whole family need. And, Olansi Air purifiers come with a 10 years experience factory -that can make a big difference, too. 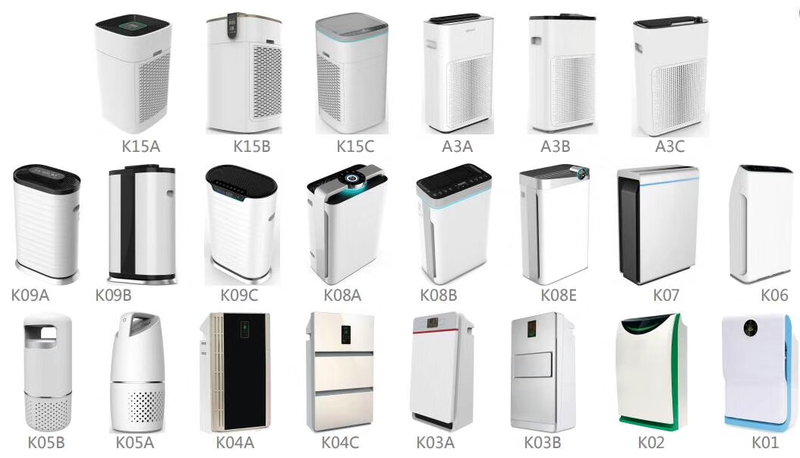 So if you have air pollution, live in a big city or near industrial factories, paper mills, etc and you’d like to protect your health, definitely consider an air purifier for your home-or business-and consider Olansi. They are literally the best, most effective indoor house air cleaners we’ve found. If you want maximum protection, you might consider using one or more quality portable air purifiers. This will trap any remaining fumes, cooking odors, particles, mold or bacteria that might be floating around. This combination approach is really only necessary if you have indoor pets, dog hair, cat hair, excess dust, or severe allergy, asthma, COPD or other respiratory issues. As we will think that our bedroom is more cleaner than living room.but most of the bedroom pollution came from bedding. The main part of the bedroom is the dust on the bottom of the bed, carpet and air conditioner. It is easy to lift it into the lungs while walking or shaking the quilt. Dust mites and body exfoliation can be allergic if they are inhaled.People in the office are more polluting. Some compounds that are excreted through breathing, sweat, etc., viruses that cough, sneeze, and other biological contaminants are serious. For offices that have been waiting for us for a long time, maintaining indoor air quality is the top priority. Where are the pollutants in these offices? Decoration pollution is a part of it. The main focus is on office furniture that is centrally distributed. The largest number of these office furniture is artificial boards. Such as indoor particleboard, density board, plywood, etc., these artificial boards contain formaldehyde, toluene and other substances. With the development of industry, the pollution of our living environment becomes more and more serious. Especially in the winter of north China, PM2.5 is especially harmful. The public’s attention to PM2.5 is not unreasonable, because it is easy to carry harmful substances and heavy property, and small size (less than or equal to 2.5m), the rapid and wide diffusion area, the long duration of serious impact on people’s health. 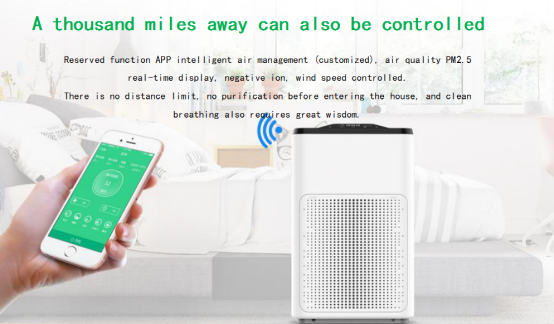 In modern science and technology, we have developed a kind of household appliance that can deal with and detect pm2.5 in time — air purifier with pm2.5 sensing function. In the past, infrared sensors have been widely used in the sensing function of air purifiers. 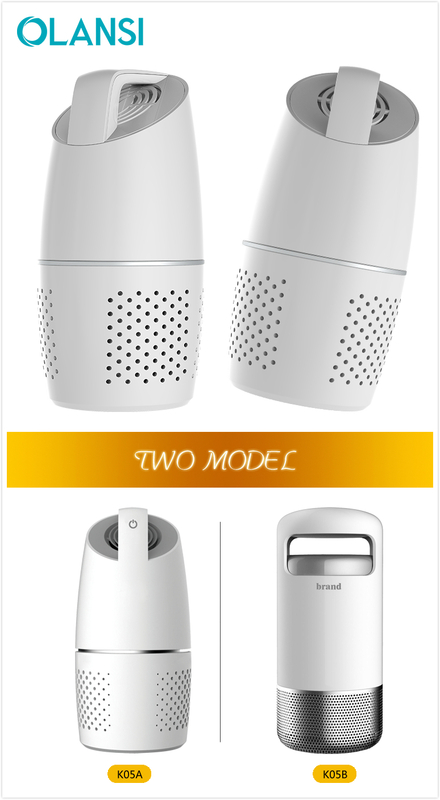 Now as a professional air purifier manufacturer, Olansi carefully selected and introduced the advanced sensor technology from Japan, developed and improved it, and applied the laser sensor for pm2.5 into the air purifier. 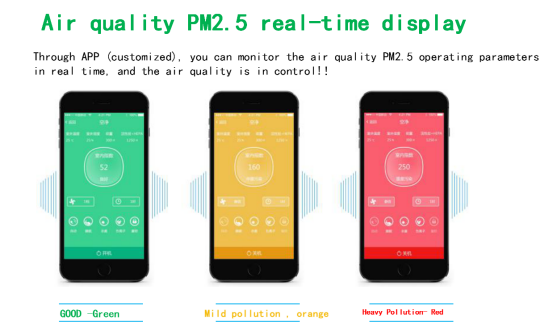 Olansi PM2.5 sensor adopts advanced laser technology, combined with the real-time display of pollution value, has the characteristics of small error, strong stability, high precision, suitable for a variety of harsh application environment. 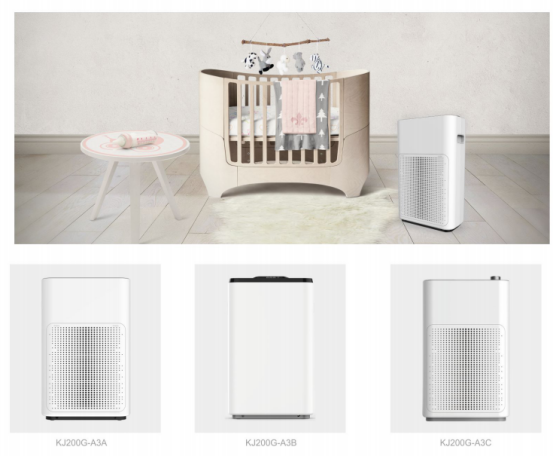 2)The real-time display data enables users to know the indoor air condition in real time in the air purifier, and the laser-type PM2.5 sensor displays the PM2.5 concentration collected in the room to users in time. 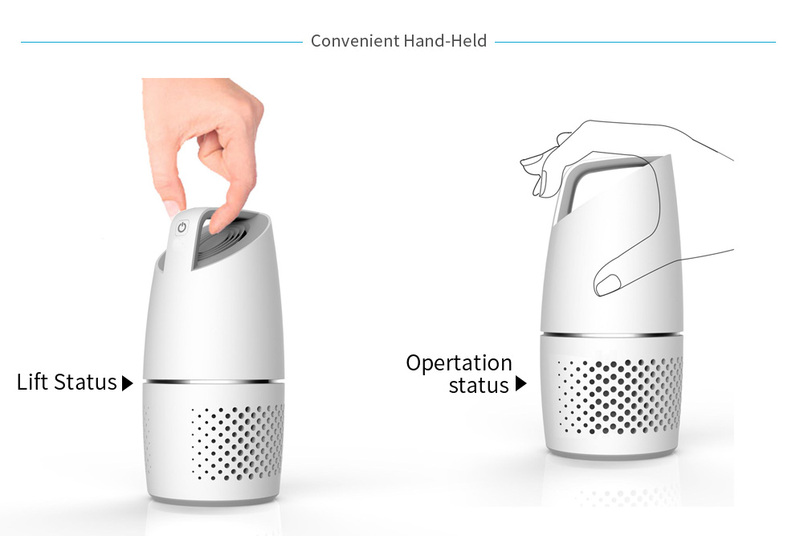 3）The WIFI function of Olansi air purifier can quickly interact with users’ mobile terminals, enabling users to more quickly understand the air pollution data collected by pm2.5 sensors, and control the purifier through mobile stations. 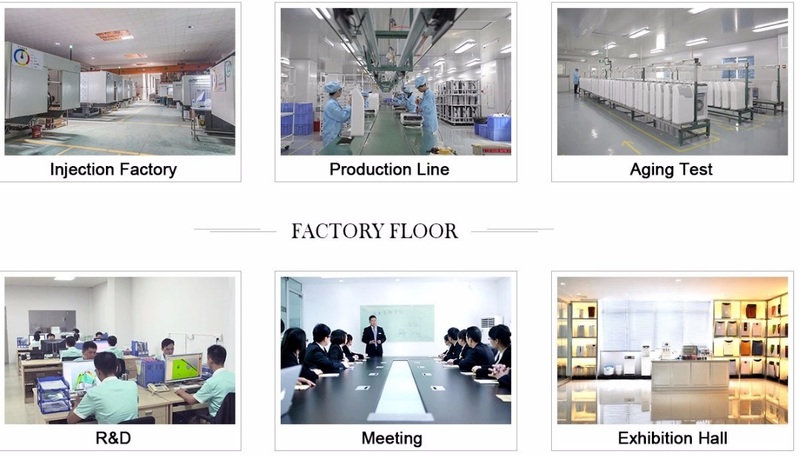 Choose infrared dust sensor, high cost performance, stable performance, long life, easy to clean. 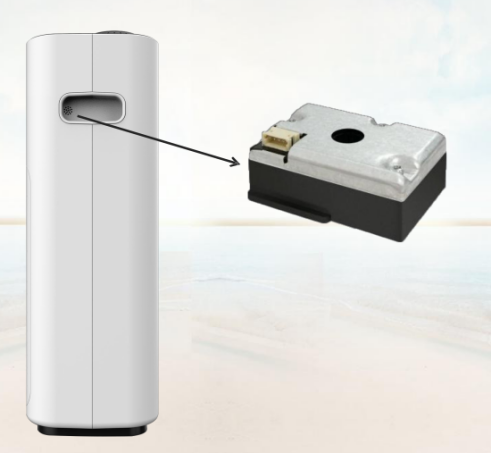 The sensor can communicate the quality concentration of dust through the serial port signal by measuring the intensity of reflected light to reflect the concentration of dust in the air. If you want to know more nformation on how to apply pm2.5 sensors to air purifiers please contact OEM factory Olansi. Olansi healthcare has more than 10 years experiences in the field of water treatment, air filtration and hydrogen water maker products, with more than 50 R&D team, more than 11 labs, all these can ensure their company in the leading of these fields. A lot of people wonder whether Olansi air purifiers with HEPA filters are really better than electrostatic type air cleaners. There are several reasons why HEPA filters are better for your health, and do a much better and safer job of cleaning the air in your home or room. First, there’s a big difference in overall efficiency or what percentage of particles are being removed. 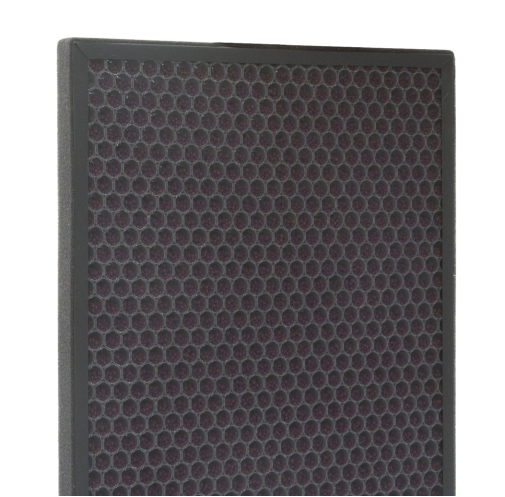 Why HEPA air purifiers to be called ‘HEPA’ (High Efficiency Particle Arresting)? The reason is trap air borne particles, when the air is forced through filters. They remove air pollutants of 0.03 microns or greater in size. They are efficient in removing solid dust particles, pollen, and mold spores. However, they are unable to remove bad odor and chemical fumes. But many of the best electrostatic air cleaners only trap over 90% of particles, when the plates become coated with dust, they don’t trap the next round of particles as well and efficiency can quickly drop to 75%, 60% or lower, unless you’re cleaning the plates a couple of times a day, which is a hassle. HEPA air cleaners maintain that full 99.97% removal rate for the life of the filter with basically no maintenance in between. Second, with regard to cleaning electrostatic air cleaners, being exposed to the dust, dust mites, and other particles every time you clean it can kick off allergy or asthma symptoms if you accidentally bump the plates as you’re removing them. 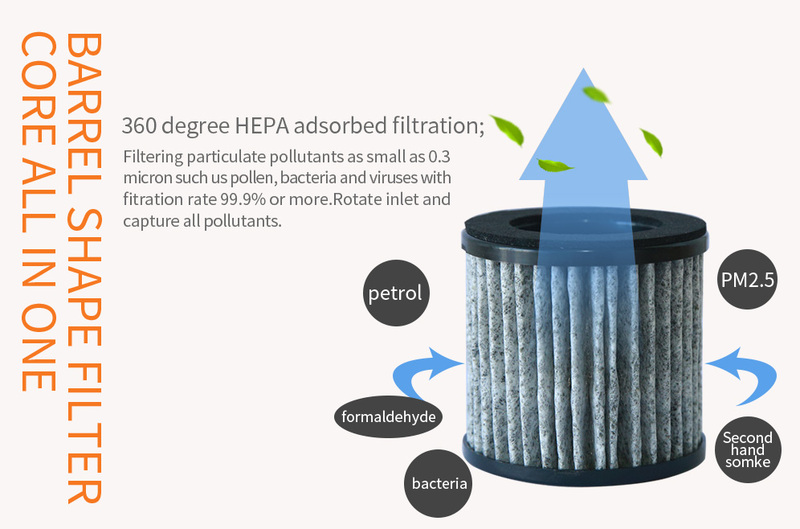 With HEPA air cleaners, the dirt, dust and other pollutants are trapped in the filter and generally aren’t released into the air when changing the filter. Third, electrostatic air purifiers tend to make popping noises as many have reported while using air scrubbers-air cleaners with HEPA filters don’t do that. And yes, there are biodegradable HEPA filters and recycling for those filters, so even though an electrostatic air purifier might be better for the environment (with no filters), it isn’t protecting your health as well as a HEPA filter will. So, surely HEPA air cleaners do have the added expense of changing filters every year, but they protect your health and reduce allergies and asthma better by doing a better filtration job. I think your health and wellness worth much more than this added expense, agree? If you’re into protecting the environment and don’t mind cleaning the plates in an electrostatic air cleaner once a day or more to keep at least about a 90% dust removal rate, then that type of air scrubber may be better for you. But for most, a consistent, no maintenance removal rate of 99.97% is worth a little extra for filters, especially those with allergies, asthma or respiratory problems such as COPD, emphysema, etc. Choose the air purifiers combine with the HEPA filters would be keep your indoor air clean and healthy. It could prevent your family from falling sick.